So I'd like to increase the margin in general. 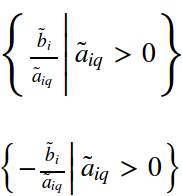 If there is decoration on my variables below the line of a fraction, that should be calculated into how far below my variable stands / how much margin there is. (upper image after insertion, lower image before insertion) The whole formular increased in size, but that was to be expected I guess. Quite an increase in size though. I am aware that this is a rather not so good practice, since I'd have to add a vphantom in every single fraction I ever write. If anyone knows another tex way of doing this for all formulars, I'd appreciate it, even if you can't reproduce the issue, if you know how to increase that space in general, please tell. Browse other questions tagged math-mode margins fractions tilde or ask your own question.